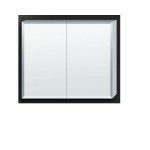 MTV mirrors and shaving cabinets, when combined with an MTV vanity, typifies the contemporary beauty and functional design of our product. 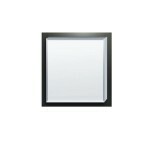 At Sydney Bathroom Supply we have an array of shaving cabinets from which to choose from. Every shaving cabinet is made from the highest quality materials in addition to being designed by experts. So, this ensures that while every cabinet we sell looks great it also offers the most space per inch of its footprint which obviously results in space saving which is a huge boon for smaller bathrooms where space is at a premium. That being said we ensure that our range of cabinets are also available in a number of different styles so that regardless of your bathroom type there is always the right one for you. We believe that high quality bathroom cabinets do not necessarily have to be expensive. 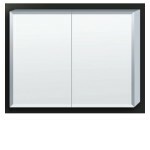 As a matter of fact we have proven that with our high quality mirrors and bathroom shaving cabinets which despite being made from the finest materials and manufactured by experts and yet they are still competitively priced. People who have and continue to use our cabinets attest to the fact that they look a lot better and last a lot longer than cheaper or otherwise more expensive ones being sold. This is the big reason why we are the brand of choice for people who seek quality but at a competitive price. 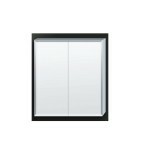 Our bathroom cabinets are especially designed and built with durability in mind. Durability is one of our biggest concerns when building these types of bathroom accessories mainly because the longer they last the more money our buyers will save. However, the only way to ensure durability is to use materials which are proven to be of a high quality along with a team of experts who can check the quality of every cabinet prior to it being sold. We work extra hard to ensure that our clients never have to deal with defective or badly built accessories, and this is also the reason why we back our products with satisfaction guarantee. 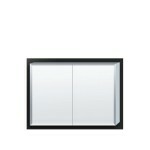 Our complete selection of bathroom cabinets, mirrors and other accessories can be found on our website. Though we update our line of cabinets and offer discounts on a fairly regular basis, it’s always a good idea to check back to our website for the latest updates. So, for more information about our range of cabinets feel free to call 02 9675 6885 or fill out our brief online form.